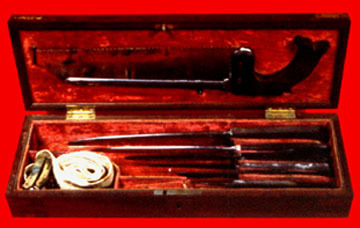 Antique Tourniquets: Petit's Sprial, USA Belt, Signoroni's, and Others. A very rare c. 1770 antique tourniquet with brass frame and original leather pads and woven linen strap. 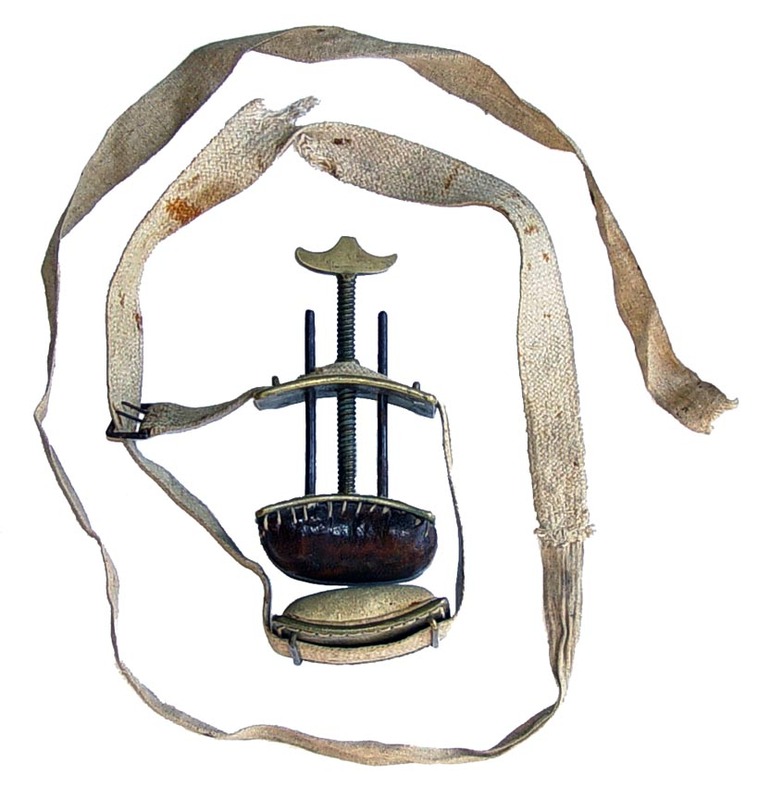 This classic Revolutionary War period tourniquet is of the pattern found in Jean-Jacques Perret, L'Art du Coutelier, Paris, 1772. A fine c. 1860 antique Petit spiral tourniquet, unmarked but made by Luer, Paris. With a spiral Petit tourniquet in place on a patient's upper leg, a surgeon holds an amputation knife and is ready to remove a gangrene foot. 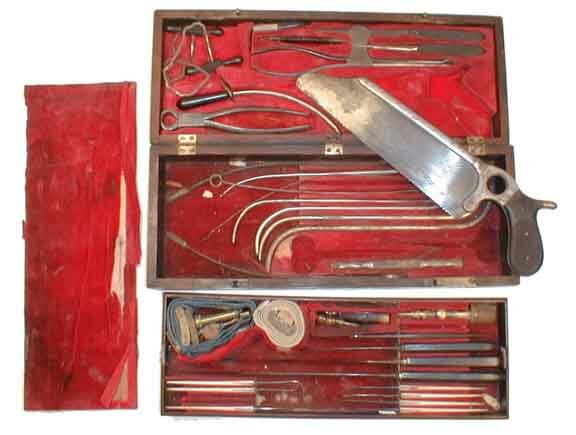 See Archives, p. 34, for more details about this antique surgery photograph. 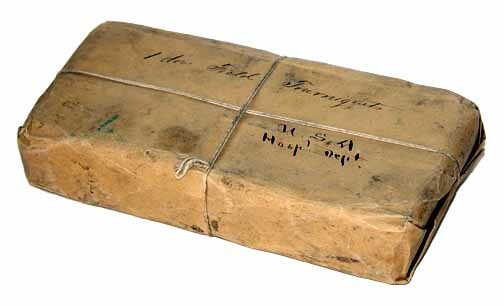 A very scarce and unopened package of one dozen field tourniquets put-up for the U.S. Army Hospital Department. 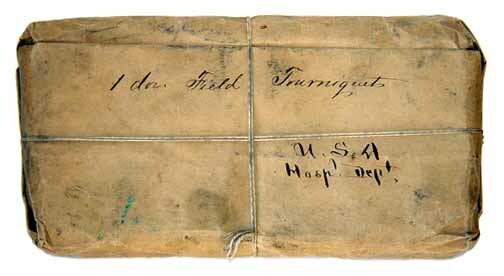 Past observations indicate that each Civil War tourniquet inside is also wrapped and marked. 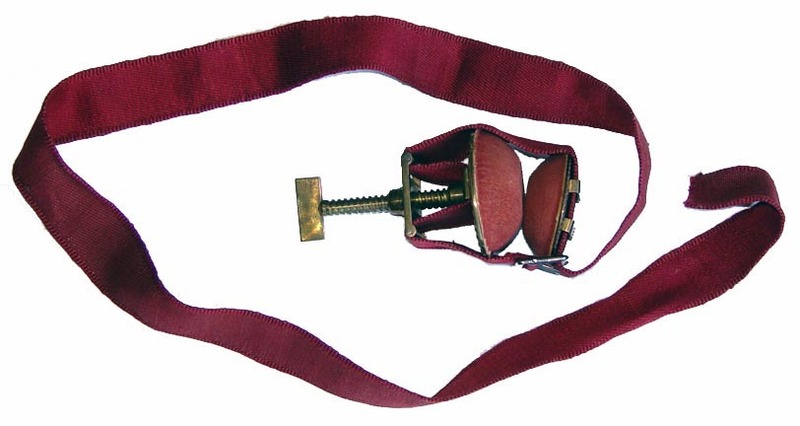 A most desirable Civil War medical antique. 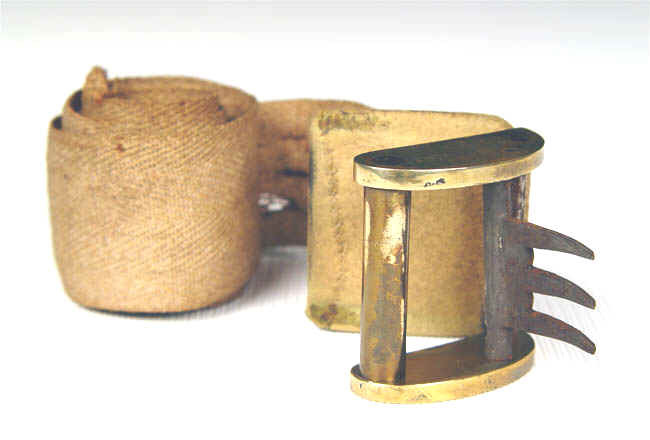 A c. 1860 U.S. Army pattern field tourniquet with brass and iron buckle.